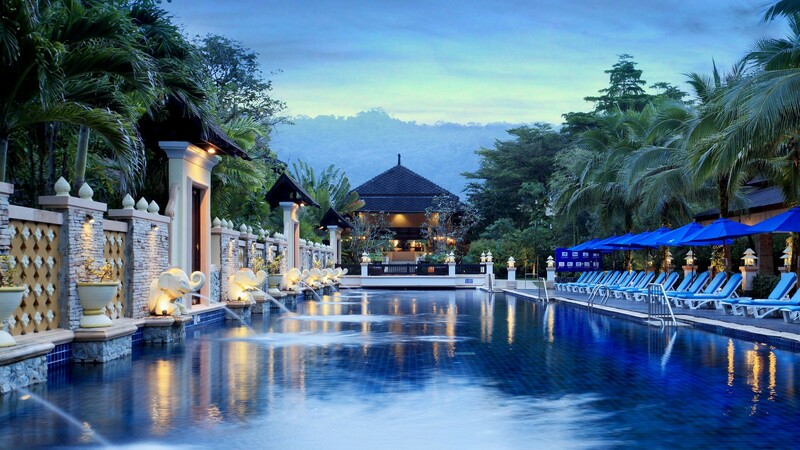 The Centara Seaview Resort Khao Lak is set on Nang Thong Beach, Khao Lak’s busiest beach, near to the local village and only 1.5 hours’ drive from Phuket. 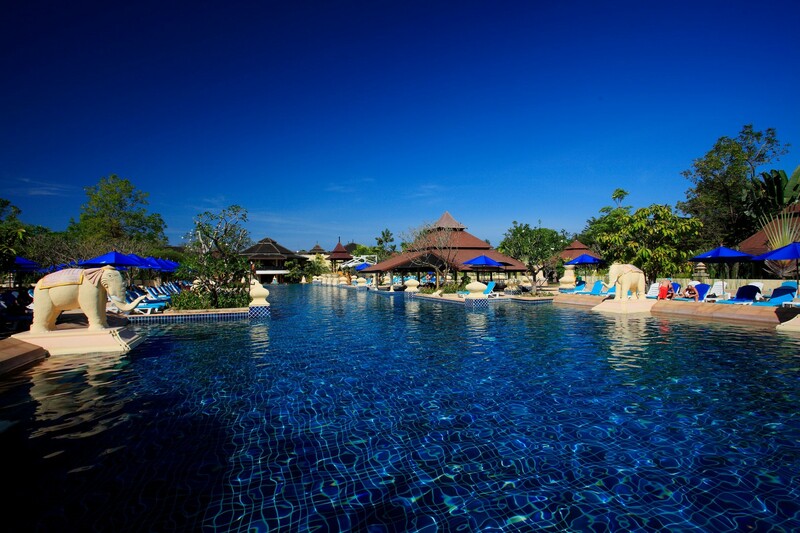 The resort features an extensive stretch of fine beachfront backed by a verdant mountainous background and a wealth of activities and facilities to keep both adults and younger guests busy and happy. Featuring light décor with gentle colours and dark wood accents the living space includes a furnished balcony with views of the gardens. 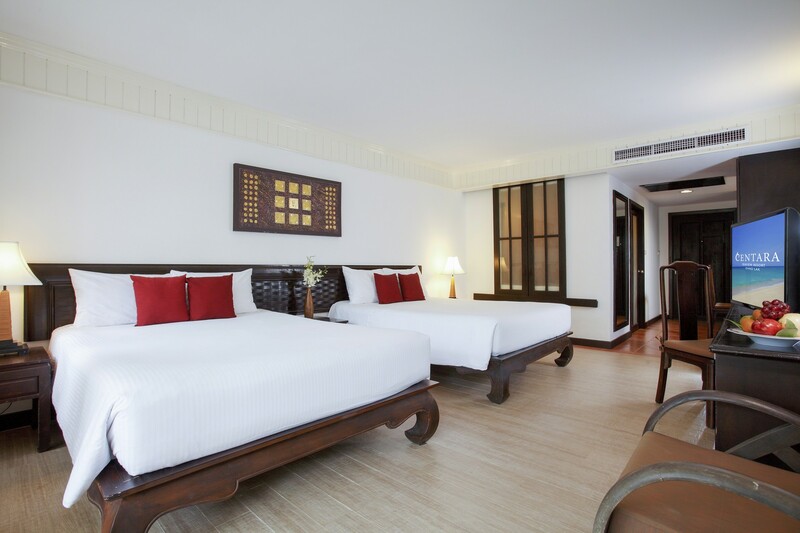 A king size bed or two double beds accommodates up to 3 adults or 2 adults and 3 children comfortably. The bathroom has a bath and shower. Located at the Ocean Wing, closer to the beach, these rooms feature a private balcony with views of the lush resort foliage. Up to 3 adults or 2 adults and 3 children are accommodated in a king bed or two double beds and the en suite bathroom offers a bath and shower. The Deluxe Villas are located on the second level and feature views of the gardens from the private balcony. A king bed accommodates up to 3 adults or 2 adults and 1 child with one extra bed. The spacious bathroom features a bath as well as a separate shower. Located in the Lagoon Wing and set in an intimate garden setting, the Deluxe Pool Villas offer an expansive terrace with plunge pool and indoors features bedroom with a king bed and a bathroom with a bath and shower. Up to 3 adults or 2 adults and 1 child may be accommodated in a king bed and one extra bed. The combined indoor and outdoor space features a spacious separate living area, a balcony with garden view, a main bedroom with king bed and a bathroom with a bath and shower. Up to 3 adults or 2 adults and 1 child may be accommodated in a king bed and one extra bed. The combined indoor and outdoor space features a spacious separate living area, a terrace with private plunge pool, a main bedroom with king bed and a bathroom with a bath and shower. Up to 3 adults or 2 adults and 1 child may be accommodated in a king bed and one extra bed. The living space includes a spacious living room and a terrace with private plunge pool, the Royal Pool Villa is a luxurious retreat. The main bedroom features a king bed and a bathroom with a bath and shower and there is also an outdoor shower. Up to 3 adults or 2 adults and 1 child can be accommodated in in a king bed and one extra bed. Located near the children’s play area and the swimming pool, the residences offer a living space with fresh décor and wood accents. There is a main bedroom with a king bed and a children’s area with bunk beds, accommodating families of up to 3 adults and 2 children or 2 adults and 3 children. The terrace offers garden views and the bathroom has a shower only. Located near the children’s play area and the swimming pool, these residences feature a king bedded master bedroom and either bunk beds in a separate area plus sofa bed or twin beds in a second bedroom. The living area also offers two bathrooms with shower, a small kitchenette and a furnished balcony with garden views. Up to 4 adults and 3 children may be accommodated. 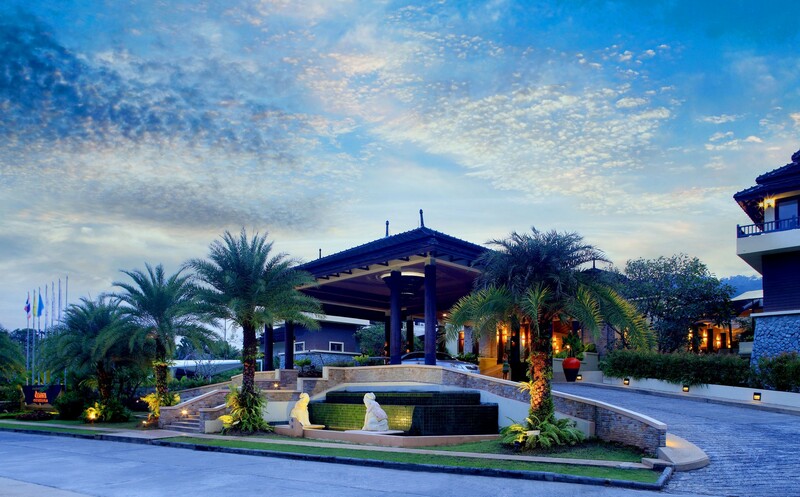 Located near the lagoon pool, the Orchid Restaurant serves a full breakfast buffet. 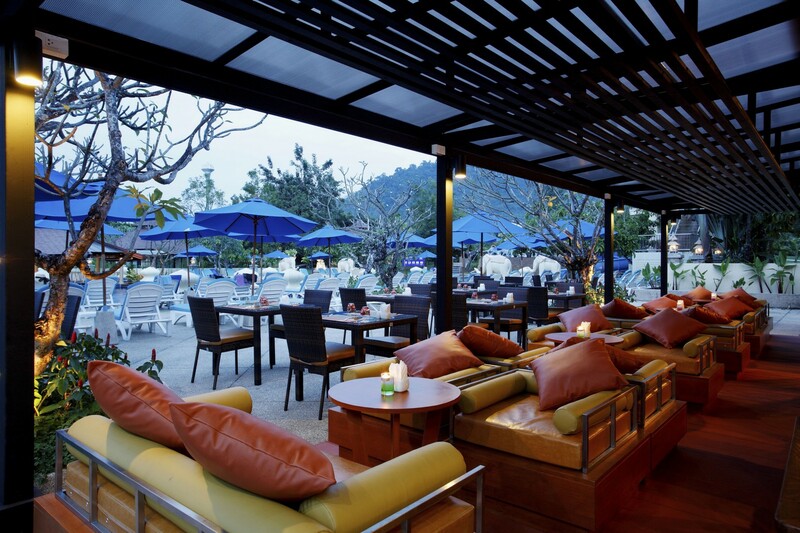 Specialises in authentic Thai cuisine with the accent on seafood served in a poolside setting and enhanced by beautiful ocean views. The perfect place for a relaxed lunch. Only steps away from the Garden Pool, you can enjoy a choice of light bites and a selection of drinks in the entertaining atmosphere of the Fun Sports. Light snacks and refreshments are available at the Pool Bar.